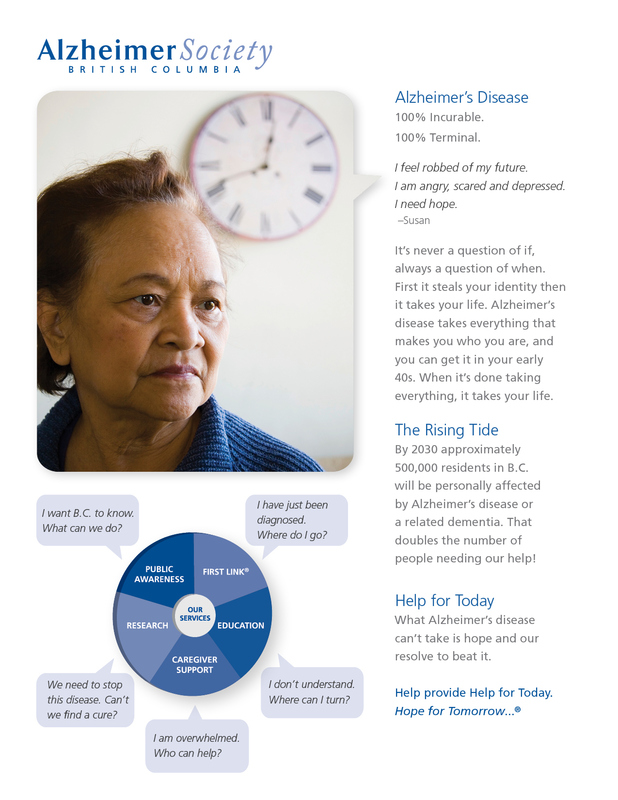 Stringbean Design began working with the Alzheimer Society of B.C. in 2009. 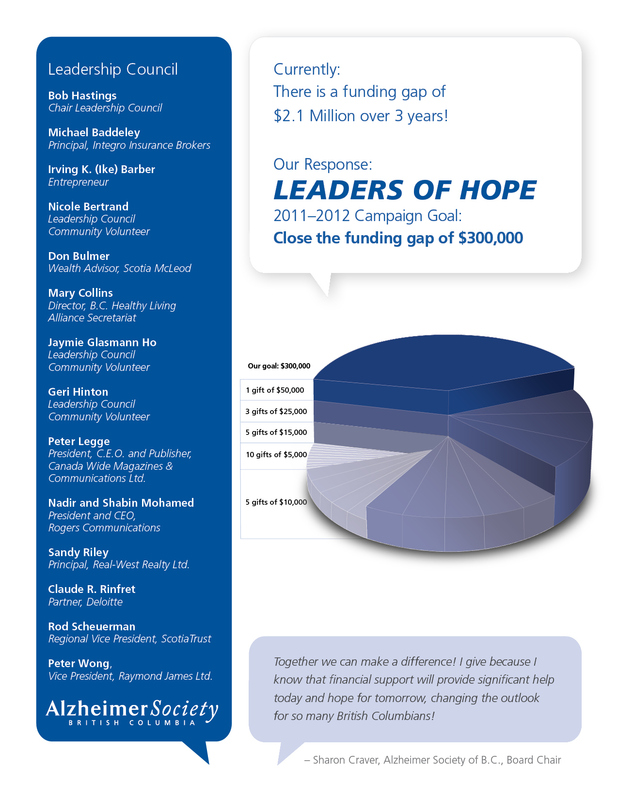 As with many of the non-profits we work with, who have a limited budget, we provided a solutions-based approach to maximize their resources. A series of design templates were created for in-house implementation, and in the process, Stringbean Design helped to educate and enhance internal knowledge and capacity about professional brand standards and practices. This education was valuable to the internal understanding of brand professionalism and sustainability of a strong brand. 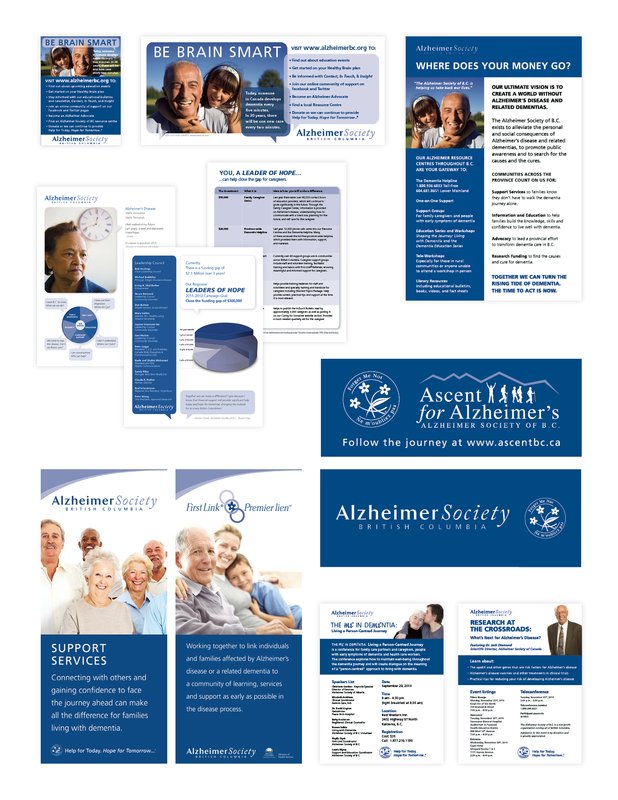 As a proud supporter of Alzheimer Society of B.C., Stringbean Design made an application to and was awarded a Hemlock Printer's "Offcuts for Charity Program" Grant ,which enabled them to produce 10,000 direct-mail pieces promoting an array of resources and materials available to those affected by dementia.